Roast meat and barbecues will always hold a special place in the hearts of Santiaguinos, but right now the Chilean capital is enjoying a new wave of gastronomic excellence. There’s experimental fine dining, an ongoing trend for local produce and a flurry of vegan and vegetarian restaurants. Welcome to Santiago’s food renaissance. 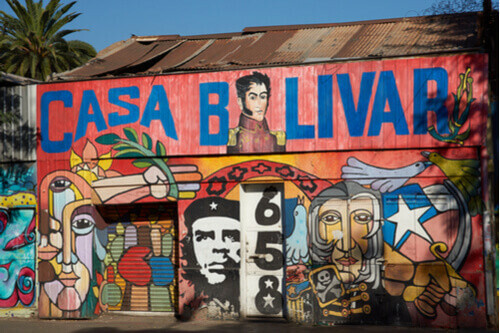 One of Santiago’s must-visit places, Mercado Central is so much more than a fish market – it’s a historical landmark. A bustling crowd of locals and tourists makes for a buzzing atmosphere inside this neoclassical wrought-iron building, home to endless stalls selling meat, wines and every seafood you can imagine. Settle down for lunch or a snack at one of the restaurants in the centre or at the lower-key food stalls around the edge. Make sure you try chupe de locos – a shellfish similar to abalone which is baked with breadcrumbs and grated cheese and served in a heated clay dish. This is also the place for caldillo de congrio, the traditional Chilean fish stew made with conger eel. And if you feel like splashing out, order a whole king crab and the waiter will shell it for you at the table. Chef Rodolfo Guzmán has been credited with the reinvigoration of Chilean cuisine. His fine dining restaurant Borago in Vitacura is a hotbed of molecular gastronomy using ingredients that are always fresh and always seasonal – he and his team make trips all over the country, foraging for the produce that will be used that week. The 20-dish tasting menu is a celebration of flavour and technique. Wear comfy trousers. Elsewhere in Vitacura, Ambrosia is unpretentious but sophisticated, using Chilean ingredients with a French twist. It’s comfort food with intense flavours and the restaurant – and outdoor courtyard – has a lovely laid-back vibe. Like Ambrosia, 99 – in the Providencia business district – is another trailblazer of the Chilean bistronomy movement. Its inventive menu complements the cool and casual atmosphere – dishes include exquisitely presented duck with pickled onion and pear, followed by carrot sorbet with coconut foam. There was a time when vegetarian and vegan restaurants were hard to come by in Santiago but, even in this meat-loving city, plant-based cuisine is on the up. Head to Barrio Italia and you’re spoilt for choice. 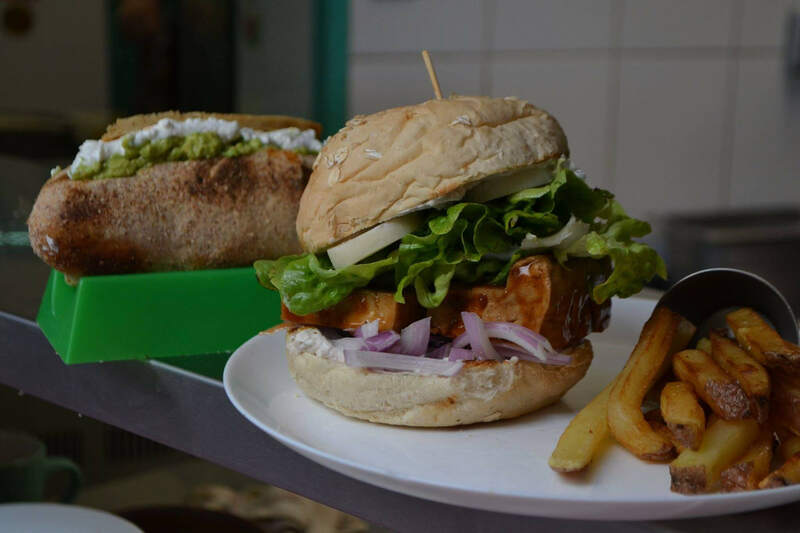 The delightful Verde Sazon serves dishes bursting with colour and flavour; fast food joint Vegan Bunker is the place for burgers; and at bohemian Shakti en Chile you can expect freshly-made treats like chickpea pancakes with mushrooms in a coconut sauce topped with sprouts. Meanwhile El Huerto on a tree-lined street in Providencia has been rated one of the top 25 vegetarian restaurants in the world by The Daily Meal. It offers wholesome veggie food in an upscale environment with plenty of clearly-labelled vegan dishes on the menu. 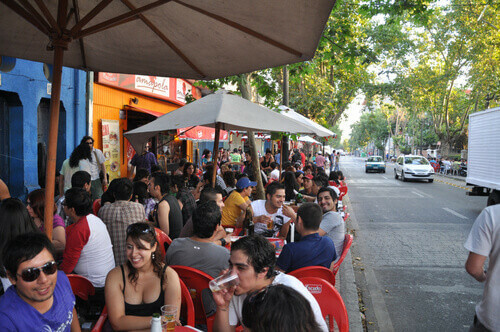 Some of the most innovative Chilean food can be found at stalls and carts pitched up on Santiago’s streets. Look out for the ones with a long line of locals queuing up to be served. We love the city’s Plazas De Bolsillo – local squares turned into plant-filled picnic zones with food trucks, street art and occasionally yoga classes. Try the one on Calle Morande in the city centre. Empanadas are everywhere in Santiago. These filled pastry pockets come with meat or cheese and can be baked or deep fried. Try them at El Rapido – the fastest fast food you’ll ever eat – or head to the stalls at Cal y Canto metro stop. 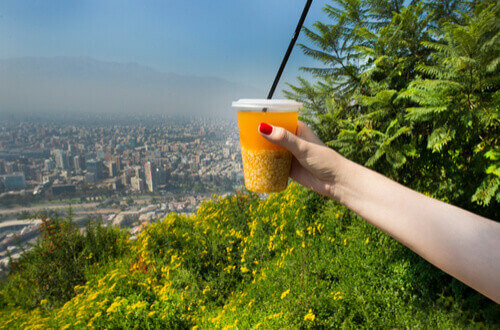 For those intrepid enough to climb Cerro San Cristóbal, your reward is not just the incredible views – you can also treat yourself to a mote con huesillos from a stall at the top. This uniquely Chilean drink is made from peaches and cinnamon with husked wheat. Sushi is a big deal in Chile – not entirely surprising given its 2,600 mile coastline – and Santiago is home to the best restaurants. Many places serve up Nikkei, the Peruvian-Japanese fusion cuisine that blends delicate sushi flavours like miso, soy and ginger with punchy Peruvian ingredients like aji (hot peppers) and corn. Book ahead to get a table at Osaka in Vitacura where the current menu includes flavour combinations like white fish, chilli and sweet potato or salmon, fois gras and teriyaki sauce. If you prefer traditional sushi, get on the waiting list for a reservation at Naoki. Widely considered the best Japanese restaurant in the city, you have the option to dine ‘omakase’ which means ‘leave it up to the chef.’ Expect cleverly-flavoured rice, market-fresh fish, maki rolls to die for and oyster shots. 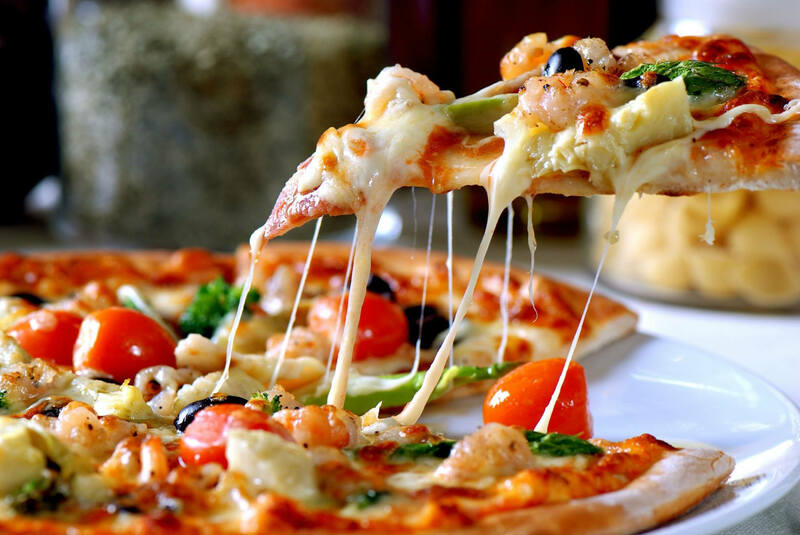 There are plenty of pizza restaurants to choose from in Santiago but one of our favourites is Blueys Pizza in Barrio Brasil. A chilled out joint in this trendy neighbourhood – a cultural hub with grand architecture alongside boutiques and artists’ studios – Bluey’s is an Aussie-Chilean-owned artisan pizzeria that takes flavours and ingredients from all over the world and makes fresh sourdough bases to a special Australian recipe. They have live music and DJs but there is also a lovely outdoor terrace and cosy areas with armchairs. And if you can still move after filling up on pizza, have a wander around Barrio Brasil - there are lots of cool bars and clubs and a friendly vibe in this part of town.